The Klang Quelle19 is a Dante enabled 8 channel XLR line level breakout box with additional 4 stereo reference headphone outputs. It and integrates 2 devices in 1. 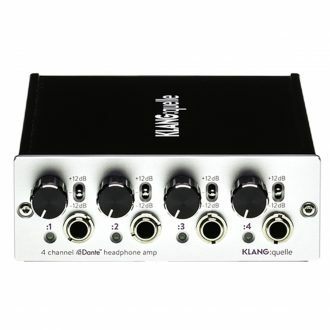 Through the choice of premium converters suitable for low-resistance in-ear headphones, a crystal clear sound, without distortion, is enabled. 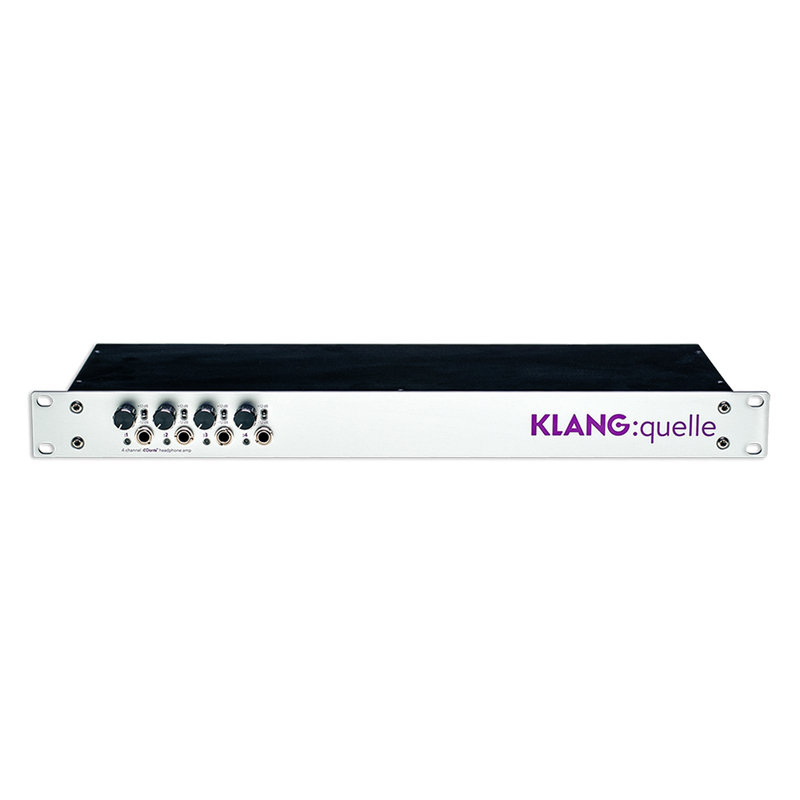 Klang Quelle19 take only 1 RU space and comes with an internal power supply. 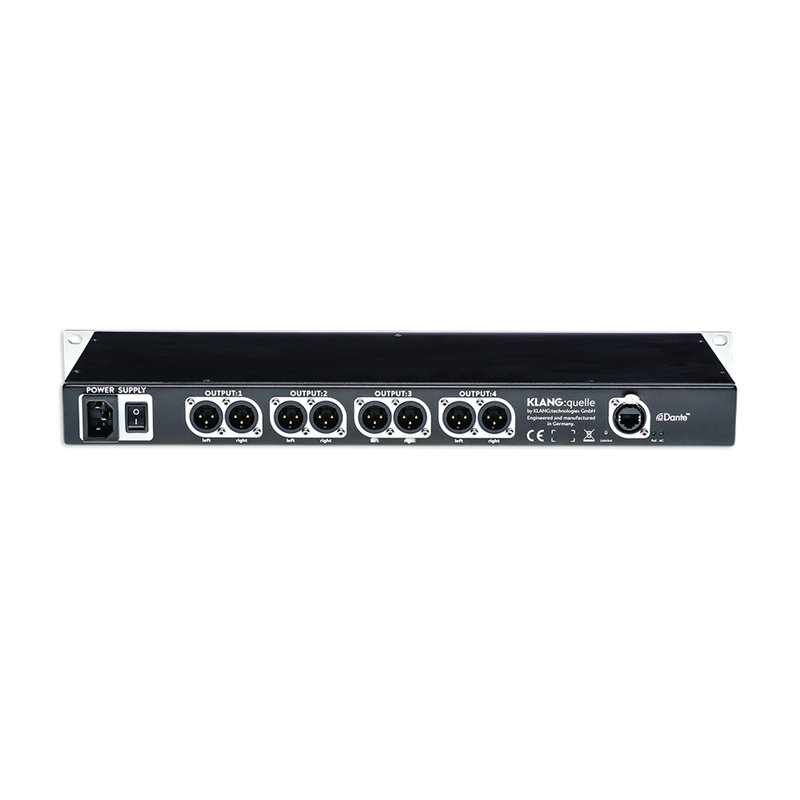 It provides Power over Ethernet (PoE) and hence offers power redundancy. 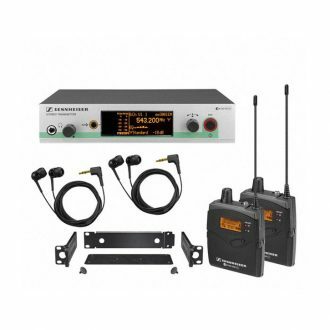 This is exactly the right solution for your high standards, being in a demanding studio environment, at band rehearsals or in the daily stage routine. Everywhere at these places, an extremely reliable, latency free and momentum faithful analog output and headphone sound is essential. This is where this Klang’s product comes into play. All these features come in a convenient and compact case. Get to know more about the advantages of Klang Quelle19 and we are certain that you’ll never want to work again without one. 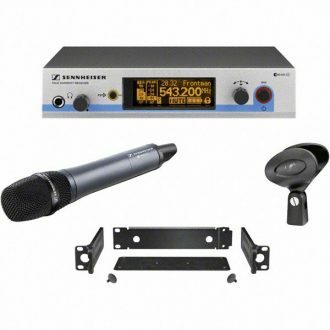 Great technology throughout the microphone system make this system the ideal singing partner. 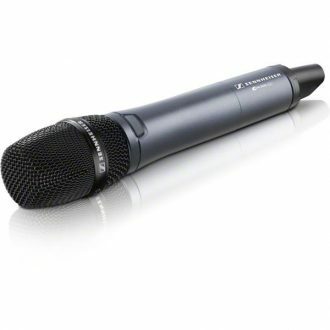 The feedback-resistant, super-cardioid microphone capsule reproduces vocals prominently and with a smooth response. 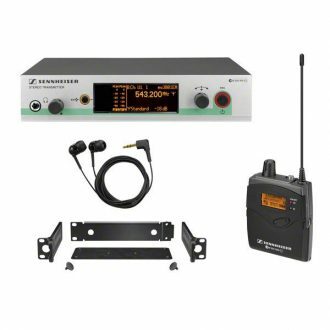 This set is equipped with Sennheiser's flagship e 965 true condenser microphone adapted for evolution wireless G3 hand-held transmitters.